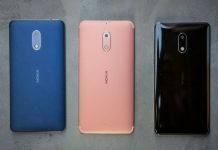 Just when it looked like it’s the end of Nokia phones, Nokia announced that it will be back in Smartphone and Tablet market with new Android devices before 2017. Nokia was once the king of mobile phones and was known for its rugged, insanely tough mobile phones. Several memes about Nokia phones’ ruggedness and their battery life have become popular on the internet. But intense competition from the Samsung, Apple, Moto and others in the smartphone space literally wiped out Nokia. Earlier, Nokia was synonymous with Windows Phone OS. Now, Nokia is transitioning to Android ecosystem. The Nokia N1 tablet has already been released and the company is already working on two flagship devices – the Nokia 5320 and Nokia 1490. 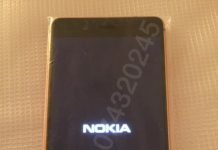 Nokia D1C Android smartphone renders have already been leaked online. 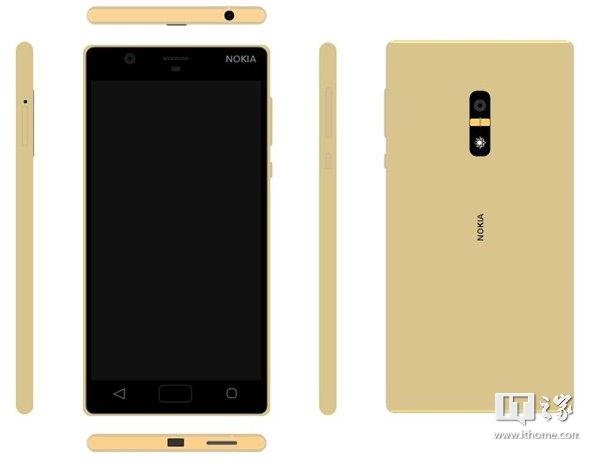 Nokia D1C is expected to come in three different variants – Black, Gold, and White. Rumors hint at only the Gold variant coming with a fingerprint sensor. 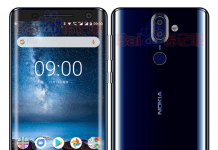 Earlier reports indicated that the phone will probably not launch in early 2017, because HMD Global (the company that brought the rights to launch new Nokia smartphones) was busy focusing on pre-launch affairs like marketing and distribution. HMD global is fully in charge of manufacturing, advertising and selling the handsets. 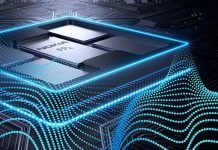 HMD Global’s huge marketing campaign for the upcoming wave of smartphones could have pushed the released dates of D1C. Recent news, however, points at an early 2017 release for Nokia D1C. 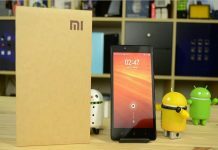 The smartphone is powered by Android Nougat and has already been spotted on GeekBench and AnTuTu benchmarking websites. The Black and White variants of the Nokia D1C will come with a metal frame and polycarbonate back cover. The Gold variant will have all-metal unibody build. As we wait patiently for the early 2017 Nokia D1C release, what are your thoughts about Nokia + Android combination? Would you be interested in buying one? Feel feel to share your thoughts in the comments section. Next articleJohnny Depp Reconciles with Ex-Vanessa Paradis After An Ugly Divorce with Amber Heard?